I’m very late in getting this written up! I did actually have this work of love finished a while ago and I’m almost finished with May’s blanket. 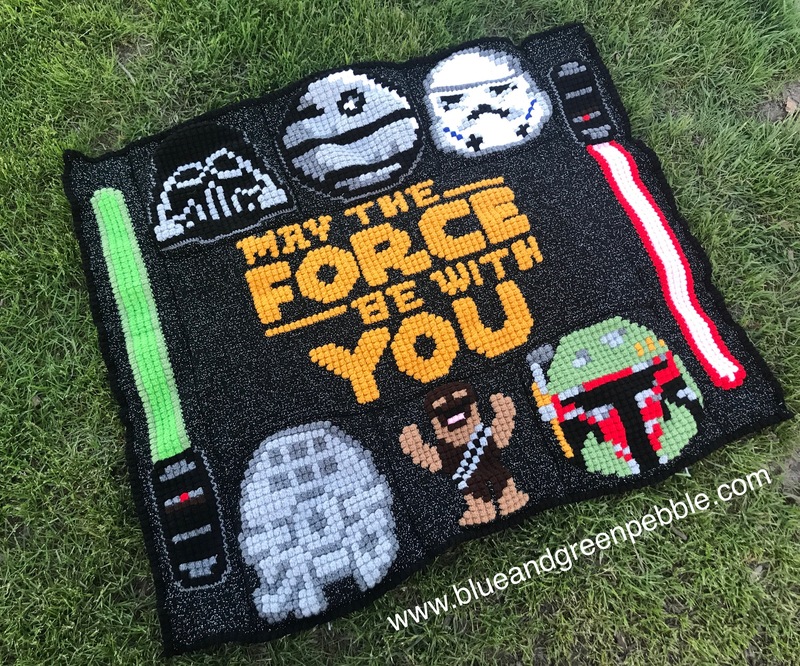 For April I made a Star Wars blanket using bobble and sc stitch. This blanket is one of two that are getting made for non relatives. It is for a dear friend. She goes on trips with us, puts the awesome rainbow in my hair and is always up for sushi. This blanket was the first time I’ve done the bobble/sc combo. It comes out beautiful but I’m not sure that I’m ever going to make a blanket like that again! I have one more Star Wars blanket to make but I need it bigger so I might do c2c for that. The blanket that I’m finishing up for May is also a Two Hearts pattern. You’ll just have to wait until I finish it to find out which one! Until next time, keep crafting, keep making the world more beautiful.